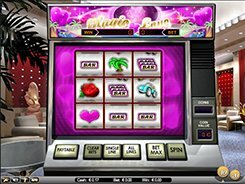 Magic Love is a classic three-reel slot equipped with 8 paylines and is themed around romance and love. On the reels you will see champagne, classic bars, rings, hearts and other theme related symbols. Accepting up to 8 coins per line, the slot allows to choose from two coin values: $0.1 and $0.2, therefore a bet size ranges from $0.1 to $12.8 per spin. Hitting three identical symbols across an active payline wins up to $480. If you get nine matching symbols on the screen, you will earn up to $960. The most lucrative symbol in the slot is the Car that acts as a scatter. Roll up 2 or more scatters anywhere in view, and be awarded x2 to x2000 times a bet (or $3200 if playing at max). 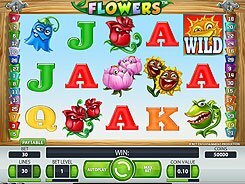 Designed in the traditional classic manner with no bells and whistles, Magic Love will appeal to 3-reel slot fans who gravitate towards simple gaming solutions. PLAY FOR REAL MONEY!